Is it a drink? Is it a food? Well, thanks to the hard work and innovation of a Nelson neuro-scientist turned entrepreneur it’s both – it’s CHIA. When experimentation with mass produced kombucha stalled, Chia founder Chloe Van Dyke and her dad Ben Van Dyke turned their attention to organic hydrated chia seeds, resulting in the highly nutritious purple and orange health drinks now available in supermarkets and cafes and simply known as CHIA. We asked Chloe to share some of the CHIA story so far and like so many #nzentrepreneur stories, we find that the genesis of this unique product was a problem. How to provide endurance athletes with both hydration and sustenance in a single convenient serving. NZE: What’s the story behind CHIA, how did you come up with the idea and how did you get it started? I come from an athletic family who consider healthy foods, exercise and adventure a key part of good living. They were in need of a nutrient-rich on-the-go food. With a science background and an interest in nutrition, I felt I could create something better than what was currently available in the New Zealand beverage market. I started with Kombucha before there was anyone producing it commercially in New Zealand. Upscaling was a disaster but it was while I was experimenting with Kombucha that I found chia seeds. My dad and CHIA co-owner Ben was hydrating chia seeds as part of his training with the local swim squad. It is rarely the first idea that ends up being the final result. In the process of pursuing one venture I was led to more ideas and was able to evolve. I researched chia seeds and found they were rich in many of the nutrients we tend to need more of in our diet; omega 3 for the heart and brain, magnesium for stress, electrolytes for sustained hydration and fibre which is taken out of other drinks is essential for the digestive system and blood sugar regulation. Historically chia seeds have been hydrated before being eaten because this increases the body’s ability to absorb the nutrients. I wanted to create a drink that not only didn’t include anything nasty like artificial ingredients or added sugar but also focused on being rich in absorbable nutrients that are essential to our health. For this reason it made sense to hydrate the seeds in a drink. It was important it tasted great so I looked to what was growing locally. In Nelson, we have an abundance of antioxidant-rich blackcurrants and apples so Blackcurrant & Apple CHIA became our first prototype. I then travelled to the Himalayas to test the formula. Each night I would sit in my tent and hydrate chia seeds for the next day and add blackcurrant powder. I found the formula increased my energy, kept me sustained throughout the day and prolonged hydration. I returned to New Zealand confident in the benefits of chia and in December 2012 I gathered family and friends around me to produce our first batch of CHIA. NZE: And what made you think you could build the idea into a successful business? I didn’t know if it would be a success or not. CHIA pushes the boundaries of preconceived ideas of what a drink is. When CHIA is hydrated is swells up to 10 times its volume and creates a gel around itself. I didn’t know if people would love it or hate it – would it be too weird for the New Zealand palate? But I knew that CHIA was one of the most nutrient-rich beverages derived from natural ingredients available in New Zealand and the timing was perfect – New Zealanders were beginning to become more interested in healthy eating. Some people love CHIA and some hate it but that is often the way when you dare to do something different. NZE: Looking back, if you could go through the start-up process all over again, what three things would you do differently? I would be more selective and choose carefully the advice I took. When you start a business everyone wants to suggest something. This is great and I was overwhelmed with support but it is important to know that you know your business better than anyone else and for areas where you need help get your advice from the best. I would have grown a team quicker. Most of us start out having to do everything ourselves and this is a great way to really get to know your business. I learnt every part of running a business from the manufacturing, accounts, sales, and marketing. But it wasn’t until I started to grow a team that I was able to step back from the day to day work and focus on where my business is going and the direction I want to take it. I wouldn’t care so much about the naysayers. When you start a business, particularly one that is a little bit different you will get people that think you are crazy. I think all entrepreneurs are a little bit crazy. Many ideas won’t work and it is important to acknowledge criticism and utilise it. But don’t let it get you down because you will need all the positivity you can muster to get over the hurdles ahead. A lotta goodness in a little bottle. NZE: CHIA is now stocked in most supermarkets – how did you get your product range into this notoriously difficult retail channel and how long did it take? The first supermarkets were independents. This allowed me to get data on sales to take to other supermarkets. CHIA was selling well so it made sense for more supermarkets to bring us on board. I could clearly explain the benefits of including CHIA in their range. 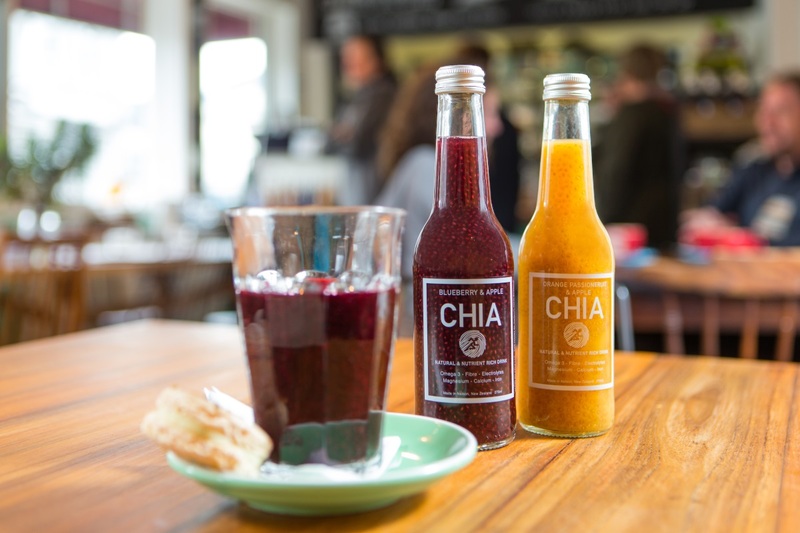 The key point is that CHIA is completely unique – there is no other beverage like it in New Zealand. Additionally, CHIA customers may not be someone who would usually buy juice, this means that Chia is not a replacement purchase but an added purchase, meaning the beverage category as a whole grows. I was also able to provide supermarkets with a product that fitted the growing demand for health food. Foodstuffs came on board in the first year and Progressive (Enterprises) in our second year. NZE: Do you think New Zealanders have a healthy attitude towards business and the creation of wealth? 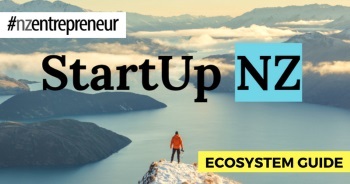 In my experience, New Zealand is a great place to start a business. 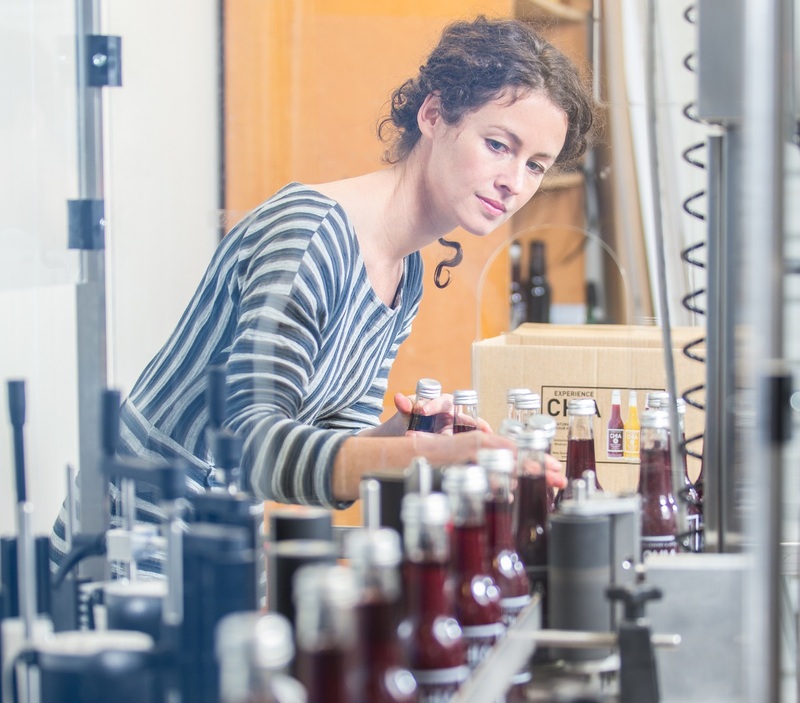 New Zealanders support local businesses and this allows us to get a foot in the door. Consumers are interested in ethics and the story behind a business. Our goal is to create the most nutritious beverage on the market in the most sustainable way possible and with the smallest carbon footprint so this mindset suits our business model. NZE: What does success mean to you? Has what it means to you changed since you first started the business? In business success for me is creating a career where I am continually passionate about what I am doing; always learning and evolving; growing a stimulated team around me; and where I make a difference to the wider community. What I am trying to achieve is continually evolving, this means that what success means is evolving too. I don’t think I will ever get to the point where I will say I have succeeded because there is always more to do. NZE: Starting and building a business is one of the most stressful things most people are ever faced with – what do you do to cope with stress? I am passionate about what I do, if I wasn’t I would have given up. It is a roller coaster and every week comes with peaks and troughs. The problem is that it is the troughs that take up all the time because they are the bottleneck. I need to remind myself to acknowledge the peaks. I also believe play is important. Creating a space for creativity and team building is crucial to a smooth functioning team is a priority. We have a slack line set up at work and mountain bike as a team once a week. NZE: New Zealand’s international success and wealth to date has largely been built on the back of our agricultural sector. However, we’re finding it harder to compete in this arena. Apart from agriculture, where do you think our next best competitive advantage lies is if we are to carve out a niche for ourselves in the years ahead? Innovation and added value. I think New Zealand should focus on creating products that have more value than the sum of their parts. 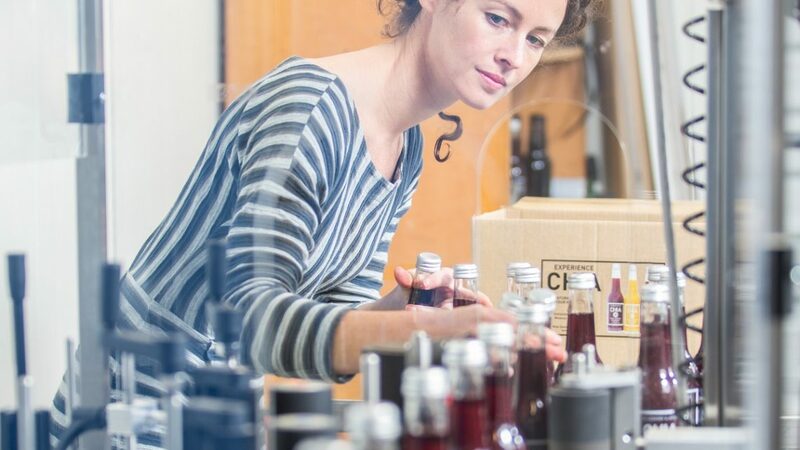 Products that are New Zealand made, healthy, functional, and natural are gaining interest overseas. I think we could work more on collaborating to enter new markets together. NZE: Do you believe anyone can be a successful entrepreneur? I think there are certain traits that can help. An ability to learn quickly and adapt is important because the way we do business is changing all the time. A large part of business is about communication and the way we are communicating is rapidly evolving. If something isn’t working you need to be able to see it quickly and change track. It is not like other professions where you learn how to do it – you need to be able to evolve with your environment while staying true to the underlying principles of your business. An ability to perceive luck is also important. I think that opportunities walk past us every day. Sometimes you have to be in the right place at the right time but often you have to know that you are in the right place at the right time to make use of it. NZE: What advice would you give to readers who might have an idea but aren’t sure how to go about turning it into a business? Ask yourself why you want to do or create this idea. Having a strong understanding of this will allow you to focus your energy in the right direction. A business canvas can help give you a quick overview of how your business would work. They will often ask questions like the following. Keep your answers short. What is the problem you are trying to solve for them? What are they doing now to solve their problem? What solution are you providing to your customer? What makes you or your idea better than the alternatives currently available? What is the message you will send to your customer? How will your customer find out about you? How are you going to get your product/service to your customer (distribution)? What do you need to get started (time, money, people etc)? What will be the ongoing costs (time money, people etc)?